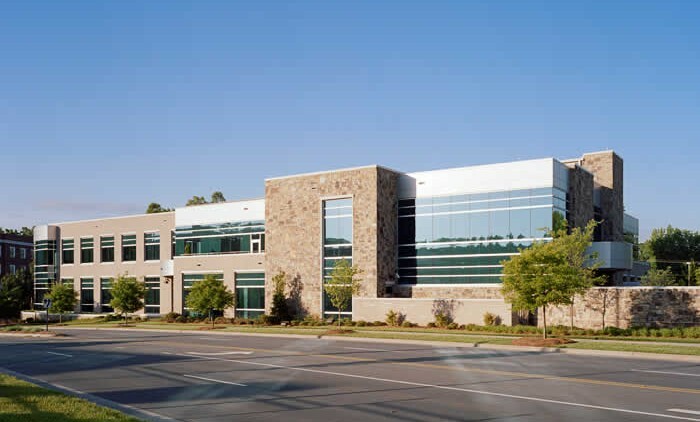 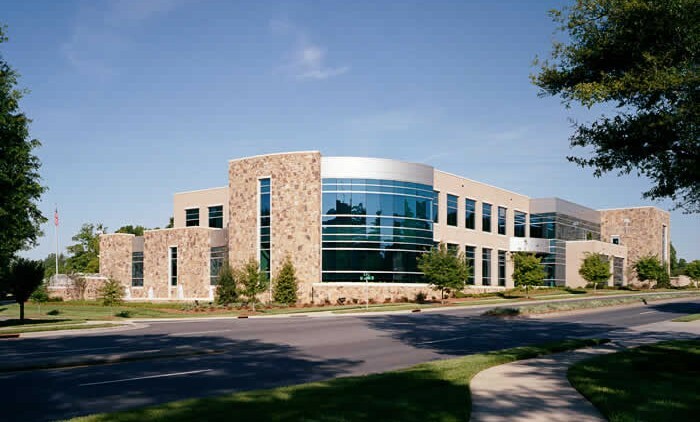 Since beginning work with Carolina Neurosurgery & Spine Associates in 1997, McCulloch England Associates Architects has been involved with new construction, ongoing renovations and additions at their various facilities. 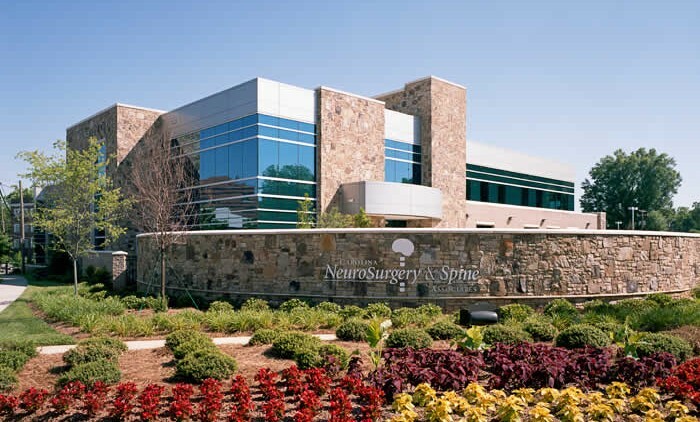 Carolina Neurosurgery outgrew their original facility and built a new two-story facility, which was completed in 2005. 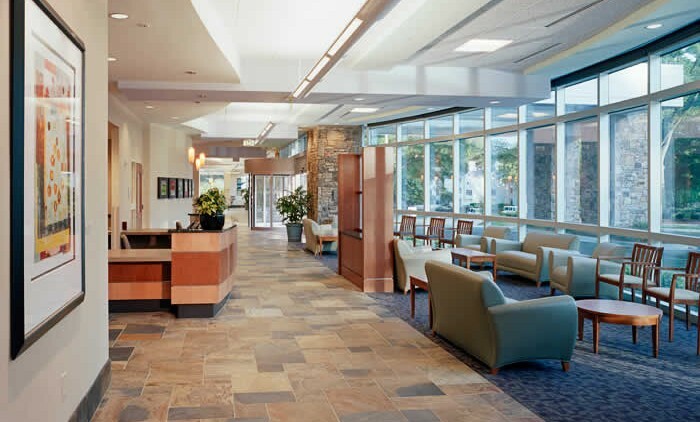 The new facility is based on a pod concept with shared lobby for waiting and reception, allowing for maximum flexibility for rotating physicians. 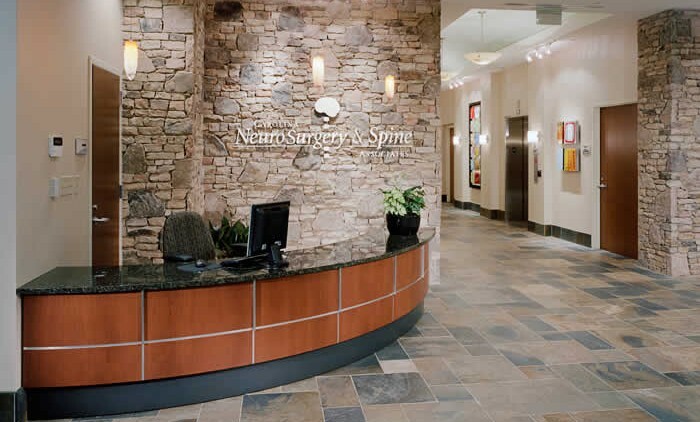 Shared areas include CT, X-Ray and Physical Therapy. 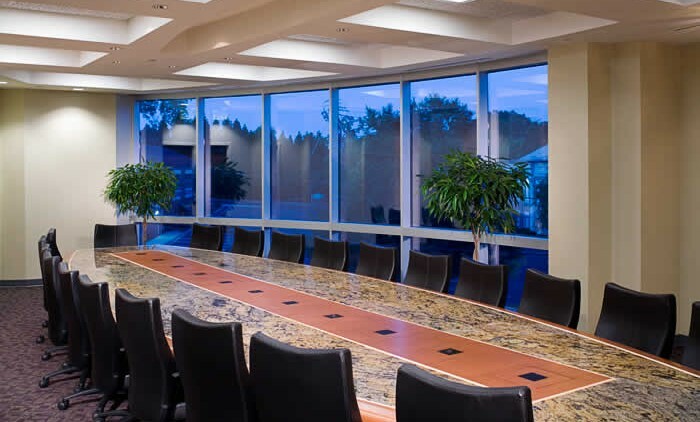 Amenities for the physicians include a regulation Squash Court/Basketball Court, Exercise Room, Locker Rooms/Showers, Physician Offices, Administrative Offices and Kitchen, and Break Room space.